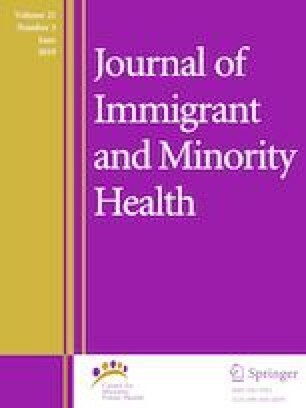 Immigrant health research has highlighted the relevance of socioeconomic, health services, and immigration-related factors in explaining disparities in health screening rates between native- and foreign-born individuals. This study advances knowledge in this area by investigating the explanatory strength of such factors for cardiovascular risk screening across eight immigrant groups. Using nationally representative data from the National Health Interview Survey, we test the hypothesis that known correlates of preventive healthcare seeking differ in their ability to predict screening behavior depending on region of origin. Results show that health service factors (lack of insurance and no place for care) are fairly consistent predictors of preventive screening while socioeconomic and immigration-related factors are less so. These findings surface the complex processes underlying observed differentials in health-seeking behaviors and illuminate potential targets for public health and clinical intervention. This research was supported by Grants to Dr. Reynolds from the National Institutes of Health’s National Center for Advancing Translational Sciences (Award Number KL2TR001065) and the University of Utah’s Consortium for Families and Health Research. Grant support was also provided Dr. Childers from the National Research Service Award Postdoctoral Traineeship from the National Institute of Mental Health sponsored by Cecil G. Sheps Center for Health Services Research, University of North Carolina at Chapel Hill, and the Department of Psychiatry and Behavioral Sciences, Duke University School of Medicine, Grant No: T32 MH019117. See Tables 2, 3, and 4.